Here is the rest of the Hossa Midsummer excursion. Grayling, trout, pearch, reindeer, frog.. yup! Check out the Part 2 below. And if you didn’t catch the Part 1, click here. Hours 68 to 91 out of 10000. 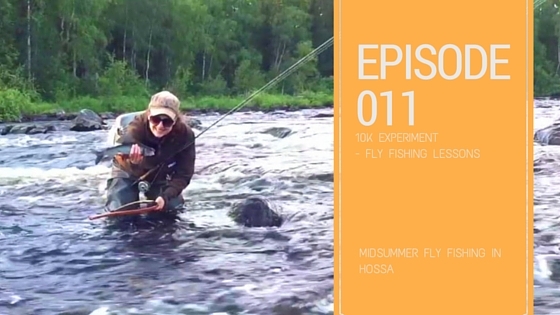 Fly-fishing at Hossa in Kainuu, Finland. Lounatkoski River and Umpivalkeinen Lake. Allways cool videos you make, Anni! I like to see them. We’ve been on the Lofoten Islands and Kiruna this year. If we will come to Finnland maybe next year – we would like to visit you.